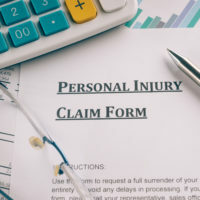 When you file a personal injury claim, your goal is to recover damages. These damages may include but are not limited to medical expenses, lost wages, therapy costs, and other economic damages. However, it is not uncommon for individuals to suffer physically or emotionally post-accident. Florida law accounts for these types of non-economic damages by allowing accident victims to recover compensation for their pain and suffering. Pain and suffering, in the legal world, refers to physical and emotional distress caused by an accident. It may not be on the top of your list of worries when you get in the car, but it may come up in your claim. Pain and suffering is a legal term used to describe any physical and emotional pain a victim experiences following an accident. Florida law provides victims with the ability to recover damages for pain and suffering. However, this issue can be difficult when it comes time to calculate the damages. These damages attempt to put a monetary value on things like fear, embarrassment, and depression, which is difficult to do, to say the least. Monetary losses following the injury. Each case is different, as everyone experiences pain in their own unique ways. If you decide to make a pain and suffering claim, you should consult your Miami personal injury attorney to find out how to best do so. When you file a claim against a person or entity, you must do so within a given timeframe. If you plan to file a pain and suffering claim, you should do so right away. Different types of cases have different statutes of limitations. In a personal injury case, you have four years from the time of the accident to file your claim. In a medical malpractice case, you have two to four years to file your claim. If you plan to file a claim against a local or state government, you have three years to do so. If you do not file your claim within the given timeframe, your case may be thrown out. The judge will grant a motion to dismiss the lawsuit. If you think you have a case for pain and suffering, do not hesitate to file a personal injury claim for such damages. That said, pain and suffering claims can be complex, so you need the best legal assistance. The Miami lawyers at Spencer Morgan Law have the tools and resources to help you get the compensation you deserve. Do not wait. The statute of limitations is only up to four years. Contact us today to get your free consultation with an attorney.